One of the best Bluetooth speakers that’ll impress you with its impeccable quality and features is Philips BT50b wireless portable Bluetooth speaker. Compact wireless Bluetooth speakers are widespread in the market today as they provide a good way for you to enjoy non-stop music on-the-go. Among a lot of portable innovations, there are many which do not offer as much quality and long lifespan as promised, while a few keep to their pledge. One such Bluetooth speaker that’ll impress you with its impeccable quality and features is Philips BT50b wireless portable Bluetooth speaker. In this Philips BT50b review, we’ll give you a detailed analysis of its features, specification and performance helping you make an informed choice if you intend to purchase this speaker. 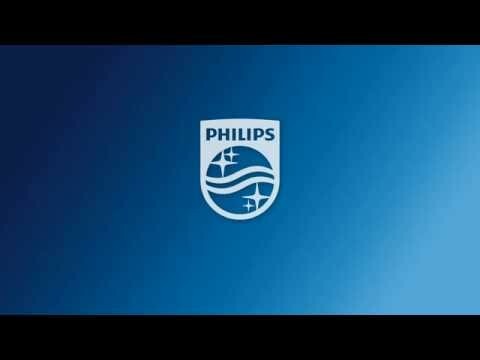 Philips is a reputable brand in the world of electronics with affordable and innovative products that have changed the lives of many. The Philips BT50b is another of Philips products that meet the demands of consumers. It is an audio device, which delivers quality design and sound, satisfying every audiophile. The Philips BT50b wireless portable Bluetooth speaker as the name implies has a Bluetooth feature for effective connectivity. It has a compact quirky design that is unique which makes it attractive to modern lifestyle. In addition, getting doses of impressive sound quality on-the-go won’t be a problem with this utilitarian device and the best part you don’t have to worry about power. The features explained in this category have made the Philips BT50b one of the best in the wireless speaker category on the market today. The Philips BT50b wireless portable Bluetooth speaker enclosure is made of rubberized plastics with a slick and ergonomic finish that aids easy gripping. Its speaker grille covers the single channel speaker and is at the top. Power Off/Bluetooth Pairing/AUX connection slider switch, ports for micro USB charging, phone button and audio input are at the bottom. The bottom part of the speaker has a rubberized finish too, to prevent the device from moving while being used. The speaker is a small and compact portable device measuring at a dimension of 3.0 x 2.4 x 2.4 inches. Weighing only 0.09kg, this device fits well in your pockets, bags and backpacks without being a burden. It will also fit firmly into your palms and is convenient to carry. Moreover, the Philips BT50b is available in Black, Blue, White and Grey colours. This portable speaker supports wireless Bluetooth connectivity as well as wired connections. Its Bluetooth connectivity range is up to 10 meters with much efficiency and flawlessness. It works perfectly with any device in the range of Bluetooth 2.1 to 4.0. You can connect iPhones, iPads, iPods, tablets, smartphones, laptops and any other device that allows wireless Bluetooth connection. To use the Bluetooth connection, you need only switch to Bluetooth mode using the slider at the bottom and search for an audio device from your smartphones or any other device Bluetooth settings. When found, pair and you are all set to start enjoying your favourite music. The single channel speaker in this device provides a clear and crisp sound with no distortion. Its enhanced tiny sound driver can produce loud audio with a powerful bass feature & has a bass control button which makes it possible for you to switch from a loud bass to a low bass note easily. It also comes with an anti-clipping function that prevents distortion as the battery runs low, unlike other traditional wireless speakers. This function also protects the speaker from damage due to distortion. The wooden cabinet around the speaker fine-tunes the reproduced sound to a natural and realistic tone. There is a built-in microphone in this device for a speakerphone capability. This makes it easy for you to receive calls while your phone still connects to the speaker. If you do not wish to connect the Philips BT50b portable speaker wirelessly, you can opt for the 3.5mm audio-in port using a 3.5mm AUX cable. This gives you the option of connecting your speaker directly to your laptops, phones or any other electronic device that uses a 3.5mm AUX cable. The Philips BT50b portable speaker has one Lithium-ion battery that can provide up to 8 hours of non-stop music at anytime and anywhere when fully charged. This 2-watt output battery charges with a standard micro-USB cable for about 2 hours. It flashes a LED indicator when charging and stops when charging is complete. The Philips BT50b wireless speaker delivers an impressive sound quality. The plastic enclosure helps in giving it a good boom bass and a well-balanced treble with control buttons on the speaker’s front panel. It has an anti-clipping function to prevent distortion damage. It has a very compact and pocketable size. You can enjoy your music on-the-go while connecting to the speaker, which slips easily into your pocket. It can also fit into your backpacks. There is a built-in microphone in the speaker that allows speakerphone capability. Its ergonomic design gives you a very firm grip on this device. It has a circular shape, which allows comfort and convenience to carry with ease. It has a very easy to use control interface. Controller buttons for Power On/Off, Mode Select, Play/Pause, Previous track, and Next track, Bass, Treble and Volume are present on the control panel. This speaker’s Bluetooth feature works up to 10m and supports almost all old and new Bluetooth devices. You can rest assure of its compatibility with any device. A 3.5mm audio-in port at its side allows direct connection to laptops, Phones or another electronic device through a 3.5mm AUX cable. The starter kit does not include an Adapter or AUX cable but has a micro-USB cable. Therefore, you will have to buy one separately. The Bluetooth function on the speaker does not allow more than one device to connect at a time. Although, this really is not bad since it is not pleasing to listen to two devices simultaneously. The Brand name on the body scrapes off easily if not carefully kept away from abrasion. The Philips BT50b wireless Bluetooth speaker is just one of the best Bluetooth speakers among many. To know what other best Bluetooth speakers are available on the market, take a look this list below. This list provides you with the best speakers under specific price range. Philips has really lived up to its reputation and proved their intelligence with the Philips bt50b wireless portable Bluetooth speaker. This speaker has an impressive sound quality, along with ergonomic and slick design. The Bluetooth connectivity range is quite long and strong while still having an option to connect via cables to electronic devices. Lastly, it has a superior quality performance at an affordable rate.